Okay, I have a thing for pink! What about you? Do you have a color that draws you? This is the closet in my sewing room. Unfinished quilt tops waiting for backing and quilting. Oh, this is not all of them. There are still some that are older than dirt in a plastic container. Sadly made from fabric that is really dated. 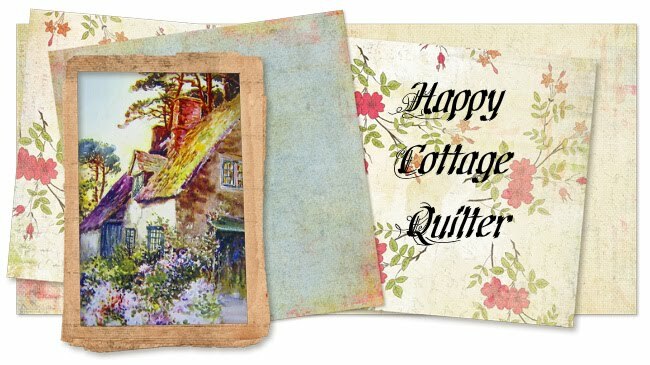 So why do we quilt? I have paused to reflect on this question. My love of quilting has not diminished, but the reasons have. 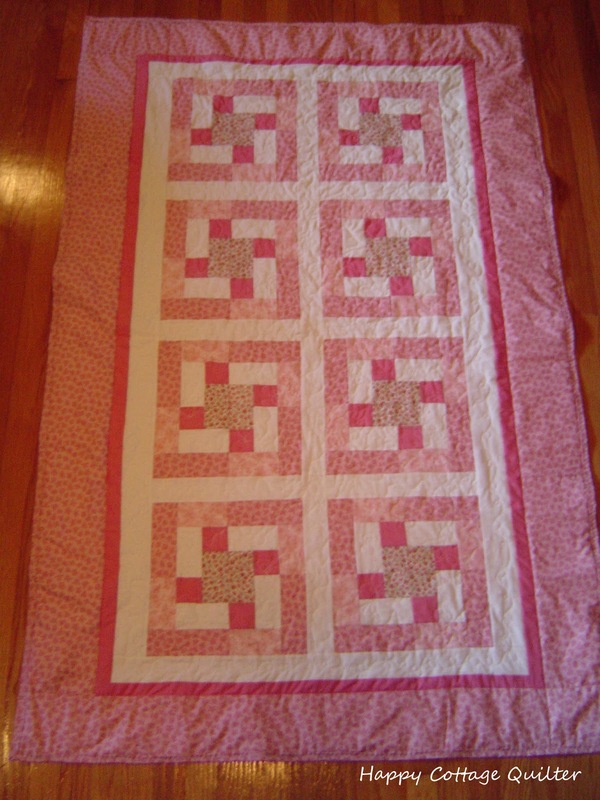 I used to make quilts for gifts. Weddings, for babies, housewarming, birthdays. But through the years it appears that most people don't really appreciate all the time and money that goes into a hand made quilt. Some quilts may even be relegated to the dog bed. It's why I've been making more of an effort to make pillowcases for Ryan's' Case for Smiles. Hoping to bring a smile to a child, a boost while they are experiencing illness. Most recently, with the passing of my BIL and the former first lady Barbara Bush, these things that take our time and money have left a deep impression of what is really important in life. A quote from Mrs. Bush struck me. At the end of your life, what will you regret? What will really be important? All has been quiet here at the Cottage. A lot has happened in the past week. Some good things, and some sad. One happy time was the dedication of our little grandson Jonah. He s such a happy fella and brings joy to our hearts every time we see him. The second thing was not such a happy time. My hubby's older brother, who has been battling some unknown disease for years, passed away on Tuesday. It's been a difficult time for the family, as he and his siblings were all very close. I have known George for almost 50 years, and he was like a brother to me. The funeral was beautiful, and most heart felt. But knowing that we will meet together again one day in heaven, is a blessing we can all share when we know Jesus as our savior. Did you know that in the beginning of time God spoke and everything came into existence? By His word, the entire universe was created. Of all the things He created, the masterpiece was a man and a woman, Adam and Eve. By God's design, all of creation was exactly the way it was supposed to be. There was no pain, suffering, sickness or death. Only complete love between God and man. But one day, God's enemy, a fallen angel named satan, deceived Adam and Eve, and as a result sin entered into the world. Sin, suffering and pain were passed down from generation to generation, and all of creation fell into sin. An honest glance into our own hearts reveal the truth; we have all sinned and done wrong things. The ultimate consequence, even worse than physical death, is eternal separation from a loving God. But God in His loving mercy promised rescue to mankind from sin. All of this is recorded in the Bible. Jesus Christ came almost 2,000 years ago, fulfilling all the promises and predictions in the Old Testament. He willingly, and obediently died an agonizing death on a cross to pay for the sins of mankind. In the greatest display of mercy and grace, Jesus' life and death became the substitute for all who would trust in Him. Jesus rose from the grave, fulfilling His earthly mission to defeat sin by dying on the cross and to defeat death by rising from the dead, just as God had promised. God invites you to be a part of the story He is writing throughout the ages. Faith is a simple trust in Jesus Christ alone to save you. Follow Jesus in faith from this day forward. My husband and I have the assurance that we will see George again. Due to some health issues, I have not been able to do much sewing or quilting lately. But I have been doing a lot of reading. Pelican Point by Irene Hannon, part of the Hope Harbor series, was a totally delightful read. I had previously read the first book, Hope Harbor, yet each book is an independent story. Dr. Ben Garrison inherits, wait for it, a lighthouse, from his grandfather. Returning to Hope Harbor Oregon to settle his grandfathers estate, Ben plans to sell the lighthouse, as he prepares to begin his practice back in Ohio. When Hope Harbor Herald editor Marci Weber learns about the sale, she is determined to save the Pelican Point landmark. What begins as a fiery start, soon cools into a cooperative friendship. They both have past hurts that leaves them skittish, yet sparks fly whenever they are together. I loved how Ms. Hannon wove this story around the lives of the Hope Harbor residents. She seamlessly brought two hurting hearts to a place where trust and love could flourish. It was a lovely story and I am looking forward to the next chapter in the Hope Harbor series. Sometimes I have a hard time doing a daily devotion. Whether it is because of time constraints, responsibilities or just loss of interest, it seems having a guide helps keep me on track. Enter Bountiful Blessings by Susie Larson. A delightful creative devotional. With a short passage of scripture and devotional passage, there is also lovely illustrations for you to color in. This sweet little book takes only a few minutes to read, and allows you to unwind by drawing at your leisure. A wonderful way to set aside some of the hard things in life and remember God is with you and wants to encourage you along life's way. This little book would make a great gift for a new wife, or Mom, or a lonely senior. Quilted and bound. Yay! Another finish!